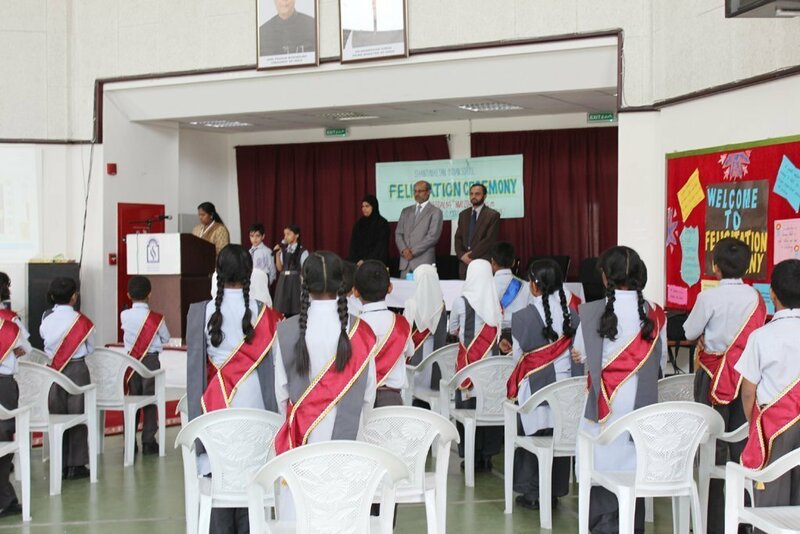 The class prefects of classes I to V were honoured at the Felicitation Ceremony held on 14th May 2014. 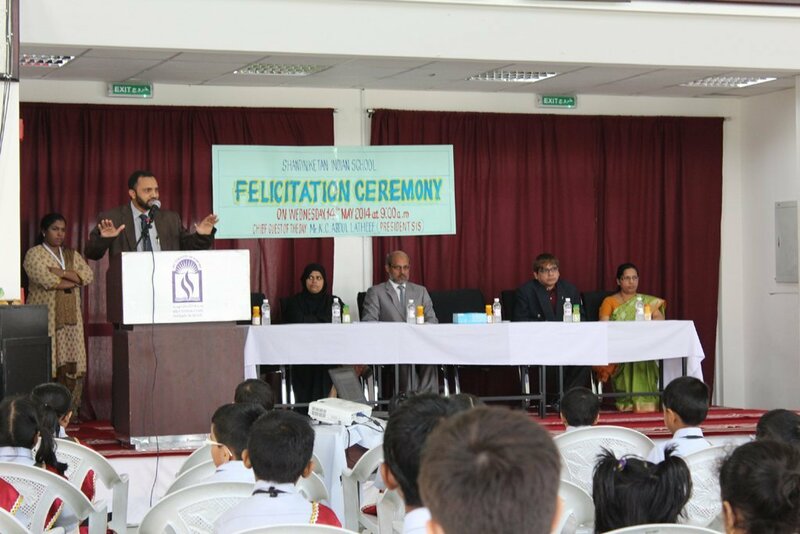 The occasion was graced by the chief guest of the day Mr. K.C Abdul Latheef (President of the school), Mr. Shihabuddin (Vice-Principal), Mr. Dudley O’Connor (Vice-Principal CBSE i), Mrs. Prabha Saji (H.M Middle) and Mrs. Mehjabeen Hasan (H.M Primary). 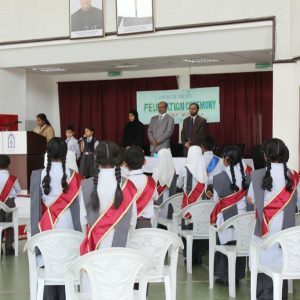 The programme started with the recitation of few verses from the Holy Quran by Yousuf of STD-II; Aisha Shafeek rendered the same in English. Then came the solemn most anticipated moment where the prefects took the Oath whereby they declared and vowed to abide by the school rules and fulfil their duties to the best of their abilities. The atmosphere buzzed with pride and excitement when the representatives’ resplendent faces marched forward to express their feelings. They ensured that they were destined for greater achievements, new heights and would lead by example to uphold the values of SIS. 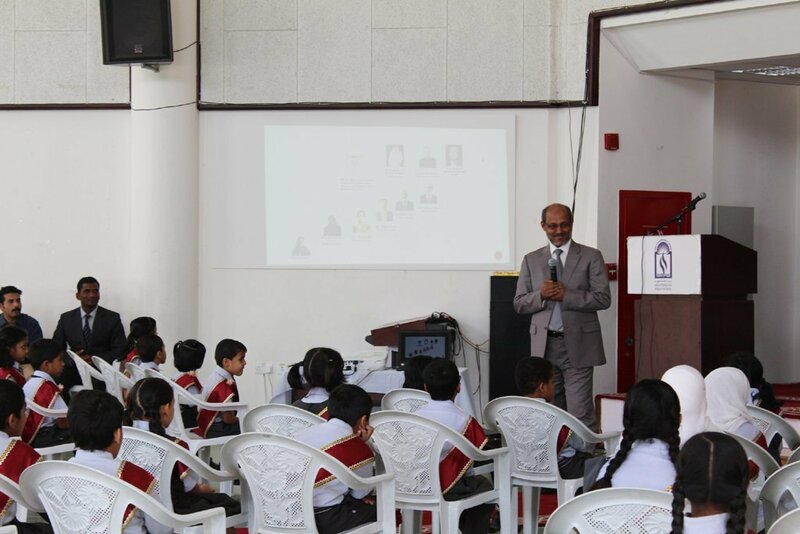 The Vice-Principal Mr. Shihabuddin in his address emphasized the importance of leadership in school and motivated the young leaders to set an example for others to follow. 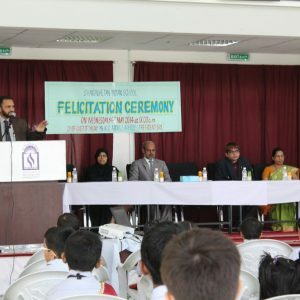 President Mr. K.C Abdul Latheef congratulated the new Leaders and highlighted the role of each leader in a hierarchical order from the Emir to the level of a class prefect. 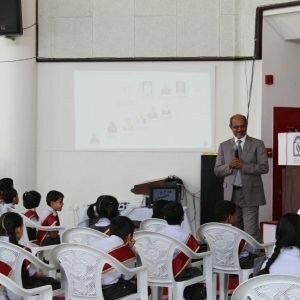 His unique presentation of taking the concept of leadership and shaping it in an effective and comprehensive manner broadened the outlook of the young minds about their role and responsibilities. 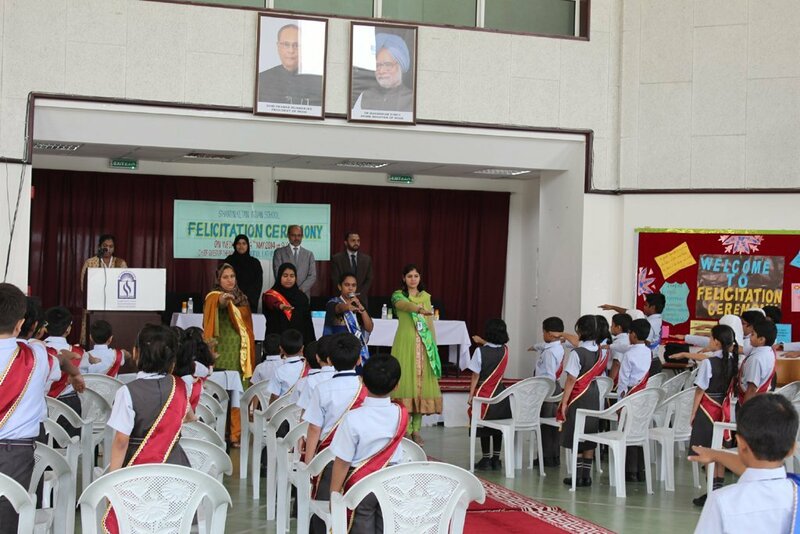 The function was anchored by Mrs. Lissy Emmily and Vote of thanks was proposed by Mrs. Reeshna. The momentous ceremony ended with the National anthem.